Below are the top discount, variety stores stocks on the NASDAQ in terms of PEG ratio. 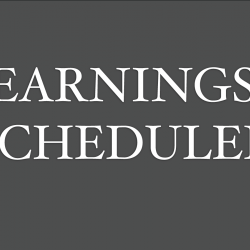 Tuesday Morning Corporation (NASDAQ: TUES) has a PEG ratio of 0.60. Tuesday Morning's trailing-twelve-month EPS is $0.24. Ollie's Bargain Outlet Holdings Inc (NASDAQ: OLLI) has a PEG ratio of 1.98. Ollie's Bargain Outlet Holdings trailing-twelve-month operating margin is 9.90 percent. PriceSmart, Inc. (NASDAQ: PSMT) has a PEG ratio of 2.04. PriceSmart's trailing-twelve-month revenue is $2.73 billion. Dollar Tree, Inc. (NASDAQ: DLTR) has a PEG ratio of 2.76. Dollar Tree's trailing-twelve-month ROE is 13.40 percent.